What’s goin on guys, Jerry Neutron here back with a brand new video and check out what I just got in the mail from Antlion, this is the ModMic 5. They JUST released this and I was able to get my hands on one so now I finally get to test out the infamous ModMic. 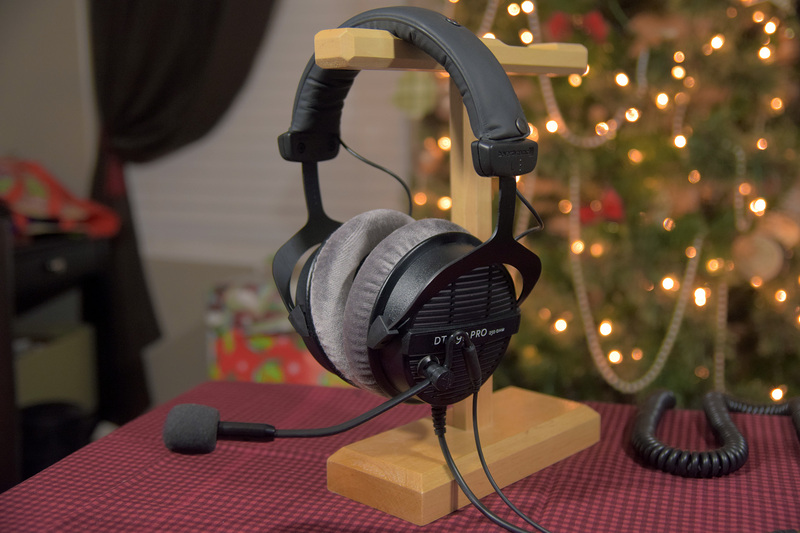 Now if you guys aren’t familiar with this product, which you probably are by now, basically it’s a boom mic that you can attach to any pair of headphones you own and that essentially allows you to use them as a headset. Now some of you may be wondering, why not just buy a pre-made headset like the Cloud II’s, A40’s or something like that? Well most headsets are usually lacking in some area whether it be audio quality, mic quality or both and the idea behind this is to pair a microphone with a set of headphones that you KNOW sound good which should ultimately lead to a better experience. My choice of headphones for today are the Beyerdynamic DT 990 Pros but of course you can use whichever ones you want. But first things first, let’s take a look at what you get with the ModMic. It comes with this Antlion carrying case which on the inside contains a few different accessories including: a 2m cable and a 1m cable, both with 3.5mm jacks. The shorter one is for you console folks that’ll be connecting your mic to a controller. You also get a inline mute switch, cable clips for cable management, extra 3M adhesives, 2m of cable wrap to keep your cables in check and then the #ModMic itself. They also sent me a couple other accessories that are sold separately: this Y adapter for connecting your headphones and ModMic to any controller with a 3.5mm input and this USB adapter which acts as a small soundcard. You’ll want this if you are using a Mac OR if you have terrible on-board audio and you want to eliminate or reduce any background hiss. Now with all of that out of the way let’s go ahead and install this thing on my DT 990’s. The base clasp was already attached to the unit so all I did was line up the mic in an area that would allow it to reach the corner of my mouth and then held it down for 30 seconds. And no I haven’t had any problems with it being attached in this vented area if you’re wondering. Also the ModMic attaches to the base via a magnet so if you wanted to for whatever reason you could remove the mic temporarily. Then from here it’s just a matter of managing your cables with the cable clips and then at this point you would route your cables through the cable wrap that I mentioned earlier. This will basically make it seem like you have just one thick cable coming from your headphones rather than two separate ones which I think is a nice touch. Unfortunately, my headphones have a coiled cable and not a straight one so I really won’t be able to make use of that. 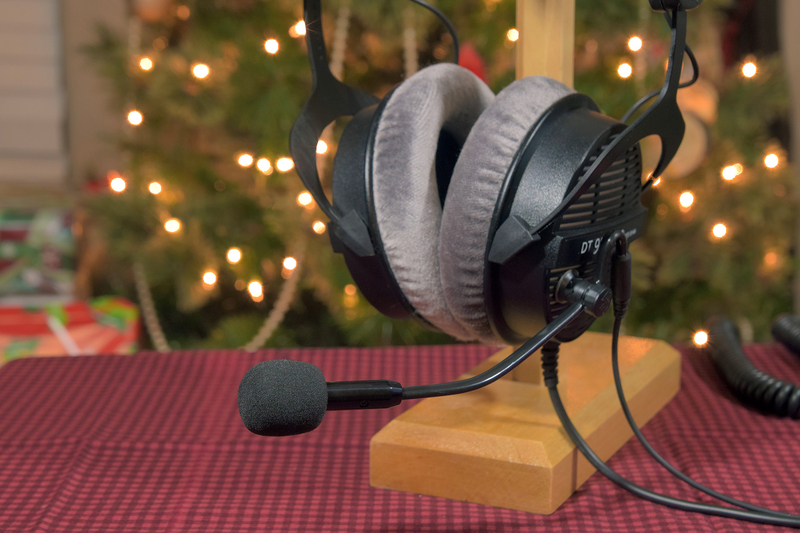 Now previously Antlion had two separate products for the ModMic 4, one with an omni-directional mic and one with a uni-directional mic. This time around they’ve consolidated the two products and now the ModMic 5 includes dual mic capsules along with a switch to go between the two pickup patterns. If you’re not sure which one to use, it basically goes like this: the uni-directional mic is better at cancelling out background noises whereas the omni-directional mic is more sensitive and better sounding but will pick up noise from all around. So you have the option of choosing which mode to use based on your environment. So with all of that said, let’s get to the part that actually matters at the end of the day, the mic test. Okay so with the mic tests complete, I can finally give you guys my thoughts on the new ModMic 5. Well for one, the mic quality is definitely a step up from the typical headset, even in the uni-directional mode it sounds much more full and less nasally than most headsets and in the omni-directional mode there really is no comparsion. Now with that said, I did have to go through some things to get my mic quality up to par. First thing is I did have to use the USB adapter aka soundcard or DAC that was sent, without it I got a crazy amount of hiss just plugging it into my on-board audio so I’d highly recommend purchasing that for most people. Also on top of that I was getting some feedback in my mic, like a hum or buzz which turned out to be caused by my surge protector, turning that off seemed to fix the issue but tracking it down was kind of frustrating. Apparently I have some type of power issue here in the office that the mic was able to pick up on. It’s not the ModMic’s fault but I figure I would mention it just in case anyone else has a similar experience. Aside from that, there’s not much else to say. It was easy to install, cable management was fine although I wish I could’ve used the cable wrap. They probably should include another size though in addition to the 2m one that way you don’t have to cut it to size if you’re using the ModMic on console. And as far as pricing goes, it is expensive compared to the previous generations but you have to decide how important the modularity is to you. If you know exactly what you want then the ModMic 4 is still a good choice otherwise if you want options I’d suggest saving a little bit more for the ModMic 5. So that’s about it guys, let me know what you think down in the comments below. Like this video if you enjoy this type of content, subscribe if you haven’t already, don’t forget to follow me on Twitter @JerryNeutron and until next time…see ya!